It is with great pleasure that welcome Jan Ruth to my blog today, to talk about her book, Wild Water, which is set in the beautiful splendour of on of my favourite places in Britain, the Welsh Hills. Wild, Dark and Silent: A testimony to the Welsh Hills. 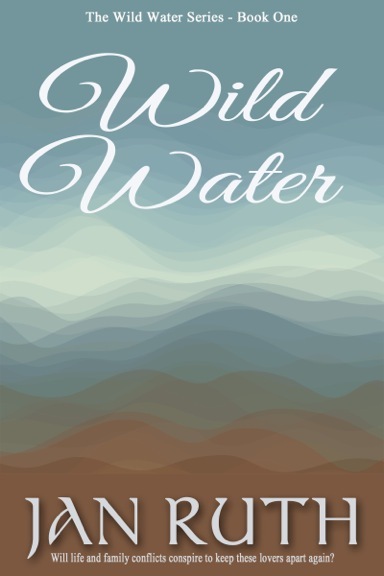 The close of July saw the re-release of WILD WATER. Although this is the second title Accent Press have released, it’s actually my first novel, a book which has endured the longest journey of all to arrive fully polished and published. It began as a humble paper copy – remember those? – and went through several transformations before arriving in a much less frazzled state. This is the story of Jack Redman, the wronged alpha male who’s trying to make the best decisions for his family but more often than not, gets kicked in the teeth. How often we read novels in the contemporary genres which consistently root for the female character – nothing wrong with a strong woman of course – but no one seemed to be telling these stories from the male viewpoint, at least not twenty years ago when I began my quest. Divorce still seems heavily weighted towards the partner with the children, and the mother is usually awarded custody unless there are extenuating circumstances which can be proved. Most of the time this is all well and good, but there are a great number of cases where our ancient system is fully exploited. Sadly, a lot of the initial storyline was prompted by real-life experience but there’s no better starting point than this for fiction in the family-saga genre. Jack Redman is a victim not only of the court system injustices but of its inability to deal with the speed and complications of contemporary family life. 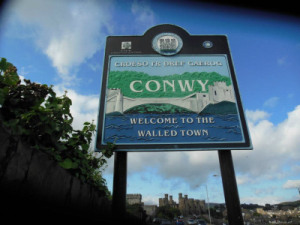 The Wild Water series is strongly rooted in Conwy, a medieval town in North Wales. In the main I’ve used real places, and I do love the mix of historical buildings as a backdrop to a modern tale. 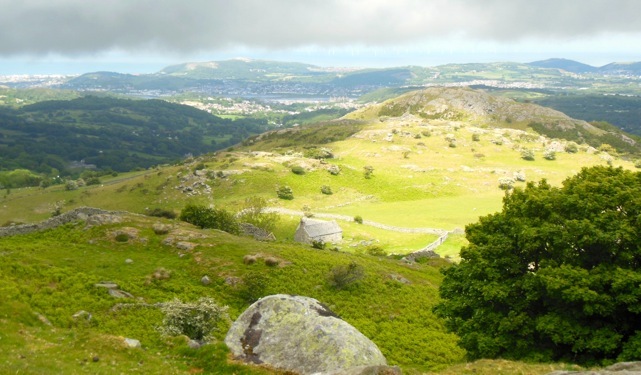 Links to Welsh history and heritage are unavoidable in Wales and it’s the visible remains of quarries, castles and farmsteads which give the area a strong sense of the past. And there’s richness in the landscape here which has certainly inspired my writing. St. Celynin’s seventh century church in the hills for example, is an evocative piece of living history and a landmark which is included throughout the series. It’s exactly the sort of place Anna, with her natural spiritualism, might seek sanctuary. Nestled in the hills 927 feet above the sea, its pretty inaccessible and best approached on foot, but this is no hardship. Some of the area is chocolate-box pretty, a lot of it isn’t. The struggle to make a living in this community is mostly based on farming or tourism, although the mussel industry is alive and well. Since I know little about these subjects, Jack Redman emerged as an estate-agent. I like to be slightly unconventional with my characters because another great killer of readability is sameness, and cliché. It was both daunting, and a pleasure to write the follow-up, Dark Water; to be republished by Accent Press on October 8th. The story picks up three years after the end of Wild Water , and Jack is in for another bumpy ride. 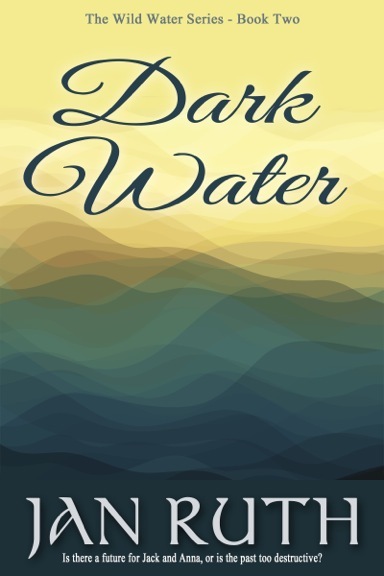 Dark Water is, as the title might suggest, a darker story partly because my writing style has changed over twenty years, but also because I introduced an element of crime. It’s too easy to become lazy with a sequel and repeat much of what has gone before. The resurgence of Simon Banks created plenty of tension, and a fresh challenge for me to write some of the story from his perspective. New characters such as Clarissa Harrison-Smith and Peter Claymore, breathed new life into the original cast. 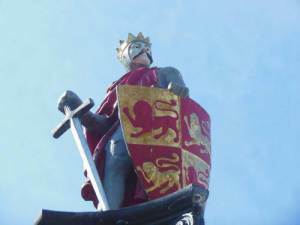 When I brought Claymore into the story, he had to have a purpose and a passion, and his persona took root in one of the most fascinating buildings in Conwy – sadly in a state of disrepair – but the real life situation fitted perfectly with what I had in mind for the plot. This house was built in 1589 by the vicar of Conwy. Since then it’s been a pub, a tearoom and an antique shop. It’s full of spooky atmosphere with cellars, trap doors and secret passages, and apparently there used to be an escape tunnel which led to the quay. Haunted? Most certainly! 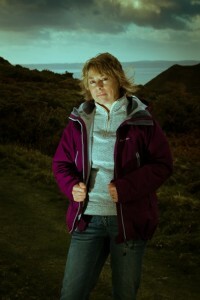 Jan was born in Cheshire and moved to North Wales in 1998, although she has always maintained a strong connection with the area from a much earlier age. Her feel for the Welsh landscape is evident in all of her work. Amazon changed the face of the industry with the advent of self-publishing; opening up the market for readers to decide the fate of those previously spurned novels. Jan went on to successfully publish several works of fiction and short story collections. Jan is now pleased to announce that throughout 2015, she will be re-published with Accent Press. Fiction which does not fall neatly into a pigeon hole has always been the most difficult to define. In the old days such books wouldn’t be allowed shelf space if they didn’t slot immediately into a commercial list. Today’s forward-thinking publishers – Accent Press being one of them – are far more savvy. I hesitate to use the word romance. It’s a misunderstood and mistreated word in the world of fiction and despite the huge part it plays in the market, attracts an element of disdain. If romance says young, fluffy and something to avoid, maybe my novels will change your mind since many of my central characters are in their forties and fifties. Grown-up love is rather different, and this is where I try to bring that sense of realism into play without compromising the escapism. Discover more about Jan Ruth: Jan writes a variety of posts – funny, serious, informative – about Snowdonia and it’s landscapes. Horses and history, her inspiration to write fiction set in Wales and her publishing journey so far. Many thanks Jan. What a fantastic post. It reminds me how long it’s been since I explored the beauty of the Welsh countryside. I love the sound of your heroes and of the story line, Jan! I have been so Conwy a few times and always had a great time discovering the town and the beautiful countryside around.